There’s a popular picture that traverses the net now and then that states 97% of climate scientists believe that anthropogenic global warming is true. More specifically, that of peer reviewed climate research papers, of the ones that made a statement on the cause of global warming, 97% agreed that humanity was the cause. You can imagine the lively discussions it induced. There are certain areas of science that people find deeply controversial. In climate science it’s global warming. In biology, it’s evolution. In astrophysics it’s the big bang, or to a lesser degree things like dark matter. The experts in these fields don’t find these controversial at all. The big bang happened, evolution is real, and humans are a principal cause of global warming. The researchers in these fields have moved beyond those basic facts and are investigating the details. Did the early universe have an inflationary period, and if so, how long did it last? How did bipedalism arise in early primates? Why is the rate of global temperature increase slower than expected? And yet in the popular press and blogs they are barraged with doubt. In astrophysics we have it pretty easy. Big bang hecklers usually just argue that we don’t really know because we weren’t there, or that because we don’t know the exact cause of the big bang we don’t know anything about cosmic evolution. We aren’t generally accused of being part of a cabal that only “agrees” on the big bang to support a philosophical or social agenda, or that we’re simply promoting the big bang for the money (although the electric universe people often claim such things). Those arguments are often applied to evolutionary biologists and climate scientists. This is why you have things like the 97% image. On the face of it, the 97% argument is rather meaningless. It doesn’t matter whether 97% agree or 9% agree. Science is not a democracy. You don’t get to declare what is true by consensus. What matters is what the data tells you. What matters are the theories that work. It also meaningless that 3% don’t agree with anthropogenic global warming. Not every astrophysicist agrees that the big bang is real. I once met a physicist who didn’t think photons exist. I’m sure if I searched hard enough I could find one that thinks the Earth doesn’t move. What the 97% argument does do is raise a specific question: at what point does a reasonable non-specialist concede that the scientists are right? 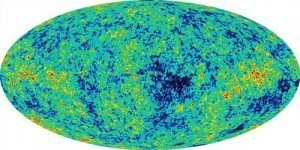 In the case of the big bang, I can (and have) present the evidence we have for the big bang. If you search the internet you can find evidence arguments against the big bang. I can explain why I don’t find those arguments compelling, and note that the vast majority of astrophysicists find the evidence for the big bang to be compelling. If you still aren’t convinced, that’s about as far as we can go. You aren’t obligated to believe me, and I’m also not obligated to convince you. But if the reason you aren’t convinced is because you don’t think there’s enough evidence yet, or because you know of a scientist that disagrees with the majority, then you are basically arguing that the majority of experts in the field are either confused or disingenuous. Basically it means you just don’t trust them. Hence the assertion that evolutionists are promoting atheism, or that climate scientists are committing fraud to make money. Because if 97% of people who have devoted their lives to mastering a scientific field have looked at the evidence and come to the same conclusion. If they are earnest and honest in their search for the truth, and have been convinced by the evidence, then that is a compelling argument that the theory is sound. Without becoming an expert yourself, the only counter is to doubt their veracity. That might sound like I’m saying there’s no room for dissension from the general public. That you should either agree with “us experts” or you’re an idiot. This isn’t the case at all. There is room for disagreement in science. No theory is above reproach, and it is always possible that new evidence can overturn a long-held theory. But your disagreement does not invalidate a particular theory. Calling anthropogenic global warming nonsense, for example, doesn’t change the fact it’s the best model we have. Science is about questioning results, but there also comes a time where the evidence we have demands a verdict. Note: Feel free to comment, but name-calling of particular groups, or of individuals other than myself will be deleted. State your opinions, but be ladies and gentlemen of honor. Once again, you’re a voice of reason. 1) I like that you wrote an article not about astrophysics once in a while but touching a wider topic. 2) I’m glad you included the last paragraph saying “There is room for disagreement in science. No theory is above reproach … doesn’t change the fact it’s the best model we have.” Until that point I was thinking of Newton and Einstein and I thought that when Einstein came along overturning Newton – he probably had more then 97% of scientist against him at that point. But as you said recently in another post, Einstein predicted something as a result of his theory which could be observed shortly after and proof him right. 3) I noticed that those discussion about scientists being right or wrong becomes a bit of a feel like supporting a sports club while people forget that this is not so much of a sports event then rather something which needs solid evidence. People seem to look at a sport’s game statistic and they say: “I know my team lost but the statistics say that we were the better team so I do think we are the better team even if we lost.” And they seem to take the same approach if it comes to science and say: “Well, I know that most scientist – 97% – agree on something but I still think they are wrong.” There is just so much “black and white only” thinking. You can see the same happening in US elections every 4 years. Those arguments are fought so focused on ‘either this or that’ completely forgetting that there is a whole world around it. Again, people just seem to take the same approach if they are asked to believe in the global warming theory. Just on a side note: I would like to see a post explaining how the universe could expand at all in its very early stages if it would have been so dense that it would collapse into a black whole. You said once our observable universe was as big as a grapefruit once with all the stuff in there we have today. 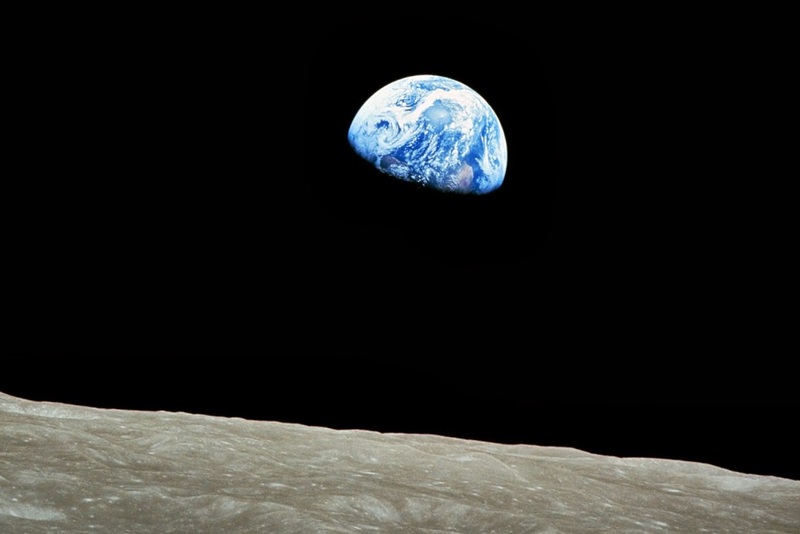 Assuming that we had the same laws of physics at that time – why didn’t it just collapse? Even if we had inflation – the edges of our observable universe would have been sucked into the black whole faster then the inflation could create space? If you look for a topic to write about I would be very happy to see where I got it wrong. Thanks for this article. It was very aptly timed, as I am still struggling to come to terms with the response to a post I made yesterday on Google+. I was apparently naive in failing to anticipate the flurry – and fury – of responses to my posting a link to a recent article on the Bill Moyers website, which presented counterarguments to the most often heard pseudoscientific refutations of anthropogenic climate change. What really surprised me, however, was my own ability to counter the attacks on the article and on climate change in general. What I’ve come to realize in the past day is that I really can’t refute some of the arguments presented because they make all sorts of claims about things on which I have no expertise – about data that has been incorrectly analyzed, results that have been inaccurately retorted on, or entire aspects of research that have been purposely suppressed by a biased media. If any of those claims were true, they’d be fairly compelling, but I really have no better response than to say that I’m very skeptical of them simply because they sound suspiciously more like conspiracy theories than like science. That’s not a very impressive sounding argument, especially compared to the impressive-sounding claims I’d be responding to. What I’ve really come to realize is that I just don’t know what I’m talking about when it comes to climate theory – but neither do any of the climate change deniers who responded to my post. Climate models are extremely complex, and I doubt very much that anyone who is not at least a moderate expert in the field can really assess any of the reports that have been made. We lay people have little choice but to choose to whom we’ll listen, whose word we’ll take. When it comes to that, I am very comfortable listening to what seems to be the clear consensus of the majority of experts in the field. I am equally comfortable rejecting arguments that are as often as not peppered with claims of some giant conspiracy among scientists, or within the media (always “the liberal media” in this case), or accusations that I am some kind of unthinking sheep who will believe anything I’m told. As a scientist, I have heard a lot of scientific arguments in my life – some I was much better equipped to follow than others, but all of which share a certain clarity of purpose. I have also heard more than my fair share of crackpot or fringe theories, and they also share certain characteristics. And I rarely have trouble distinguishing between the two, no matter how limited my own expertise in the subject matter. That is why I believe that global climate change is real and that humans are a major contributor to it. I think this is a great post and I always enjoy your articles. However, the 97% figure is disingenuous. The study does not specify how much of that 97% endorses that human emissions are a major cause of current warming. At best the survey can only say that 97% believe that humans have some impact. That would include virtually all the skeptics as well (including myself). 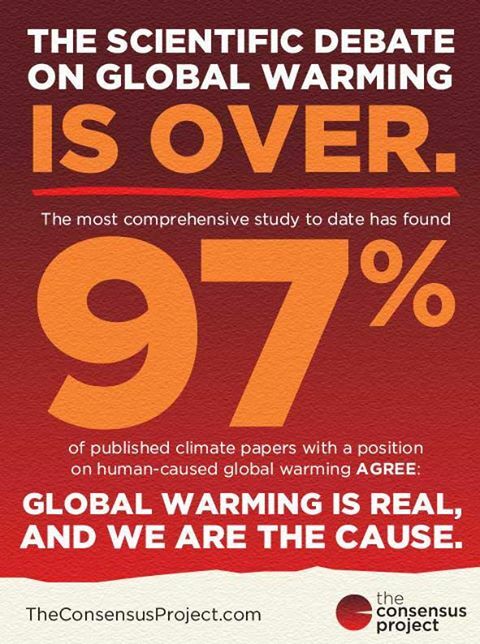 Actually the 97% came from an analysis of peer reviewed climate research papers. Of the ones that made a statement on the cause of global warming, 97% agreed that humanity was the cause. Other studies have shown the consensus of humans as a primary cause of global warming is quite strong among climate experts. I was referring to the Cook survey of climate scientists. In the one to which you are referring they looked at ~12,000 papers and automatically excluded 8,000 and then concluded since 97% of the ones they didn’t eliminate state that humans cause some amount of the warming (again even most skeptics agree) that that proves that 97% of climate scientists agree that humans are the main cause. They again do not break it down. You seem to me to be a reasonable person and you make some very good points above but I believe that some of your argument is flawed. Below I quote you and point out what I believe are those flaws…. 1. It doesn’t matter whether 97% agree or 9% agree. Science is not a democracy. You don’t get to declare what is true by consensus. What matters is what the data tells you. What matters are the theories that work. Yet you promote the standard model that theorizes as yet undiscovered ideal constructs of dark matter and dark energy that supposedly exercise such a huge influence upon the universe while you seem to ignore plasma physics theories that have been evidenced by many experiments and much data as being hugely influential in the universe and that can be replicated on small scales in the laboratory and then upscaled to the universe. 2. If the reason you aren’t convinced is because you don’t think there’s enough evidence yet, or because you know of a scientist that disagrees with the majority, then you are basically arguing that the majority of experts in the field are either confused or disingenuous. No, that conclusion is incorrect because one might instead feel that all of them are just lacking some data that refutes or corrects or improves their theories and that they will get that data if they will just review scientific papers that attempt to give them that data. 3. If 97% of people who have devoted their lives to mastering a scientific field have looked at the evidence and come to the same conclusion and they are earnest and honest in their search for the truth, and have been convinced by the evidence, then that is a compelling argument that the theory is sound. Without becoming an expert yourself, the only counter is to doubt their veracity. No, the only counter is not necessarily to doubt their veracity. Again, we may doubt that they have actually seen or pondered the evidence that we have seen and pondered that refutes, corrects or improves their theories. 4. There is room for disagreement in science. No theory is above reproach, and it is always possible that new evidence can overturn a long-held theory. But your disagreement does not invalidate a particular theory. Maybe it does not invalidate a particular theory but to those of us who do not agree with it, that theory is still invalid to us and to those whom we can convince that it is wrong. 5. Science is about questioning results, but there also comes a time where the evidence we have demands a verdict. That time is when ALL of the evidence has been evaluated and when all of the participants have reasonably read and evaluated all of that evidence. This is supposedly done with peer review but when most of one’s peers will not give one’s new theories a fair review because of their bias for or against something in their paper (such as a mention of creationism or of God or the Bible or evolution or atheism or whatever), then that time is not yet at hand. This brings me to my point. The Setterfields have been following the data (that is their motto) in an effort to find solutions for the anomalies of the standard model, evidences of cDK, the observable quantization (stepping) of the redshift of light, plasma physics, crater origins, etc. and have been publishing papers on these things for years. But astrophysicists like yourself who publish blogs wherein they claim to be open minded and hopeful that new theories will surface to advance the cause of astrophysics, won’t even give one of them a reading! Come on! Please, I appeal to you, smell your own bad breath blowing back in your face and give their stuff an honest reading! In it I believe that you will find the truths that will lead all of you astrophysicists out of the pit of anomalies that you find yourselves trapped in with the standard gravitational model. If I understand you correctly, you are asserting that my disagreement with the Setterfield work is due to the fact that I haven’t given it an honest reading. Over on Google+ you accused me of bias for my disagreement with the work. The thing is, I have given it an honest reading, and there are serious problems with it. Their model asserts things like redshift quantization which is completely contradicted by the evidence. It makes wild claims that have no observational foundation. It is not good scientific work. If you ask for someone’s honest opinion on a subject, it is disingenuous to call them biased (or declare that they have bad breath) when their opinion disagrees with yours. You weren’t looking for honest feedback, you were looking for blind followers. Old post, but I’ll just note you are completely correct that pretty much everyone agrees that climate has warmed and humans contributed — depending on the study, there are different levels of agreement, and even an informal poll of a skeptic group found none of them disagree with those statements. The real disagreement is generally on policy, which is based on projections, of which there are thousands of competing models. Most climate scientists are quite aware that atmospheric dynamics are horrifically complex and do not believe long-term temperature trends can be reliably predicted (Storch 2008). Unfortunately the marriage of science and policy often produces unattractive progeny of all different sorts, even with the best of intentions. I have little doubt that you’re much brighter than the likes of me in many, or possibly all, respects. Nevertheless, I’d really recommend dropping the whole 97% thing. I’m pretty sure that there were moments in time at which about 100% of the socially acknowledged “scientific experts” of the day were highly confident that continents were static geological structures, that intelligence was tied to race, etc etc. 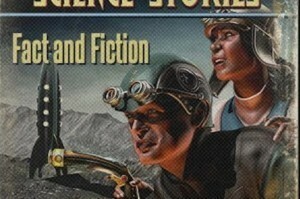 That small quibble aside, I totally admire your awesome and mighty blog-fu powers! The counterexamples you mention are actually very different. The establishment argument against tectonic migration was due to a lack of clear evidence. As the evidence strengthened, the establishment accepted this. The argument of intelligence being correlated with race has a dark history of wild speculation. IQ tests have only been around since the early 1900s, and issues of their actual assessment of intelligence, inherent bias, cultural vs genetic causation etc. have been hotly debated throughout its history. The IQ/race position has never been a dominant position within psychology. Global warming differs in both aspects. There is a wealth of experimental and observational data to support it, and the data has become convincing enough that it is a central position of modern climate theory.